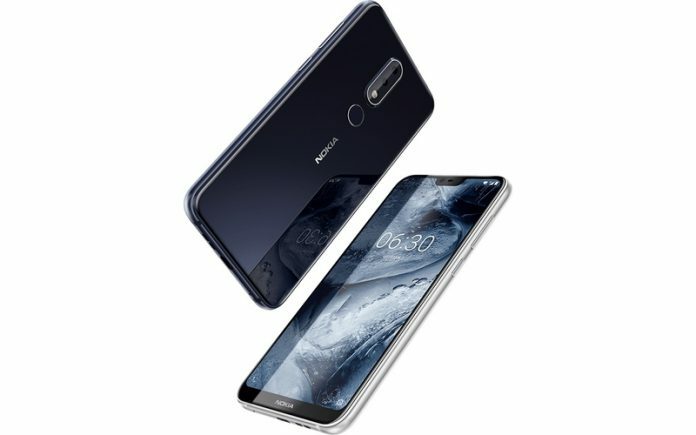 все новости "FromUA.news - ит, наука"
In the past few weeks, HMD Global has unveiled two mid-range smartphones, the Nokia X6and the Nokia X5. The duos made their debut in China and were called the Nokia 6.1 Plusand the Nokia 5.1 globally. It looks the Finnish smartphone maker is preparing for the launch of the yet another smartphone. A yet-to-be-announced Nokia handset, carrying a model number of Nokia TA-1104 has received the EEC (Eurasian Economic Commission) certification in Russia. For now, the certification details are limited. All we see is the model number of the device and the date of publication as 08/03/2018. 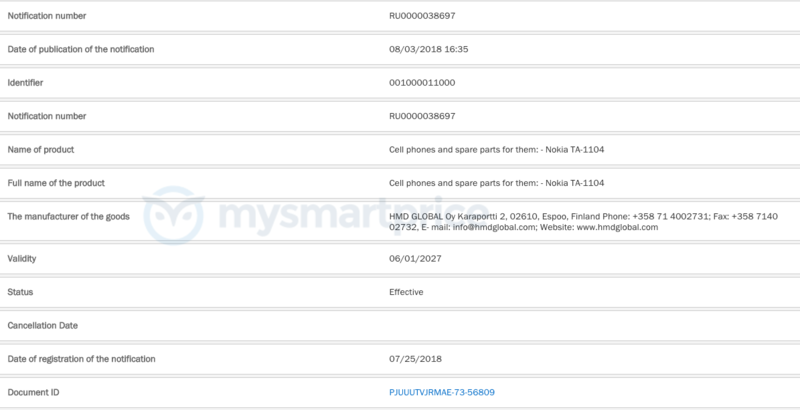 Last month we had also seen two unannounced Nokia smartphones, the Nokia TA-1119 and TA-1087, getting the same EEC certification in Russia. In total we expect the trio of Nokia handsets to get released in Russia if HMD Global has any such plans. Russia seems to be the big market for the Finnish smartphone maker, as it had first announced the successor of Nokia 5, Nokia 3, and Nokia 2, in the form of new Nokia 5.1, Nokia 3.1 and Nokia 2.1 back in May. Meanwhile, Nokia might unveil the Nokia 6.1 Plus or the Nokia 5.1 in India next month at their upcoming launch event. The company had published a teaser today, indicating that the launch might happen soon. To recap the specs of the Nokia 6.1 Plus, it sports a 5.8-inch 19:9 display along with an octa-core 1.8 GHz Snapdragon 636 chipset, 4GB/6GB of RAM, 32GB/64GB storage, and runs Android 8.1 Oreo out of the box. It features a 16MP+5MP dual camera setup, 16MP front selfie shooter, and has a 3060mAh battery. On the other hand, the Nokia 5.1 Plus comes with a 5.86-inch 19:9 display with a 720×1520 pixels resolution (287 PPI pixel density). It is powered by MediaTek’s MT6771 Helio P60 SoC, paired with Mali-G72 MP3 GPU. The device comes in either 3GB/4GB RAM, offering 32GB/64GB internal storage. In terms of imaging, it sports a 13MP+5MP dual rear-facing camera and an 8MP front camera for selfies and video calling. A 3060mAh battery keeps the device running.